Boo! Your most terrifying Halloween make-up! 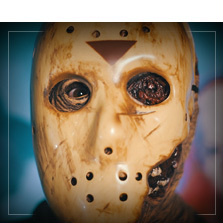 Blood, latex, wounds and prosthetics for the most horrifying terror make-up for your costume! What will be your make-up for Halloween, the scariest night of the year? Have you chosen your Halloween costume yet? 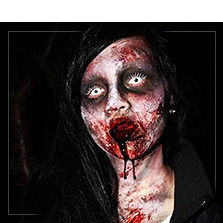 Will you be a The Walking Dead style zombie with a decaying face and lots of blood? A vampire with long bleeding fangs? A monster like Frankenstein full of wounds and prosthetics? A Halloween Catrina skull? A werewolf with lots of fur? Or will you be an assassin from a series such as Freddie Krueger, Jason from Friday 13th or Michael Myers? 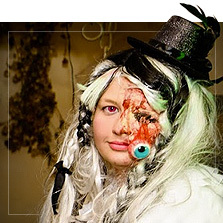 At Funidelia you will find all the ideas for your Halloween make-up! Essentials to choose your Halloween make-up we recommend liquid latex bottles which will help you to make your own wounds or complete your outfit with prosthetics to bring the character to life and to be able to complete any terrifying make-up that you can think of, such as zombie make-up which always triumphs during Halloween. 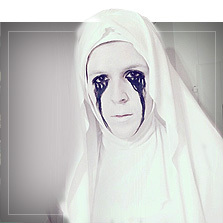 Buy the most horrifying Halloween make-up now for the scariest night of the year! 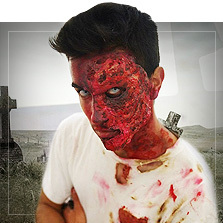 At Funidelia you will find excellent ideas for your horror make-up. Whether you are looking for witch make-up for your little girl or if you are looking for the best Halloween make-up for women, we have fantastic ideas that will make you have a frightful night. 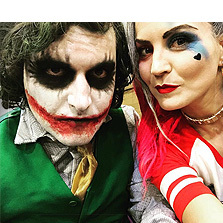 Apart from black and white paint to give you the deathly look you want to achieve... you will need some prosthetics (attach them with Mastix) or liquid latex to give them the shape you want for your Halloween make-up. Add some streaming blood to make it more realistic... and voilá! Your Halloween make-up will be ready to scare everyone. 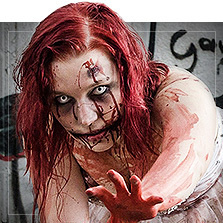 Achieve the most terrifying realistic look at the undead party!